NAPERVILLE, Ill. (WLS) -- Naperville police are offering a reward of up to $1,000 for help arresting a woman accused of stealing a purse from a car. Police said the woman stole the purse as the driver unloaded the vehicle on January 13 on the 1100-block of Aurora Avenue. 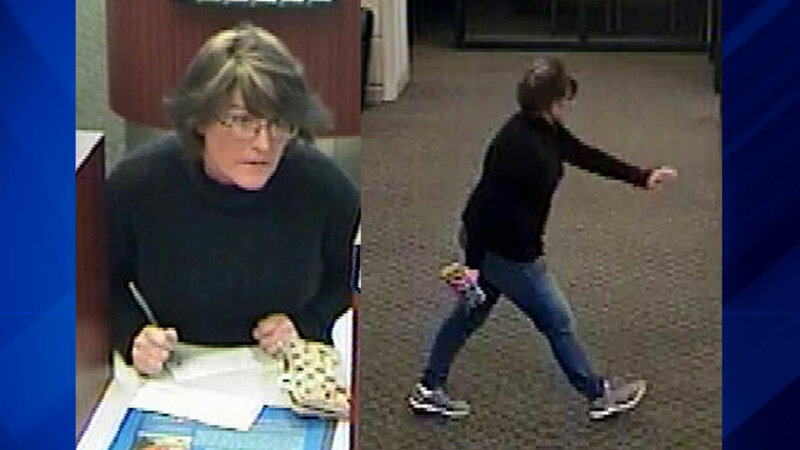 About 30 minutes later, police said she withdrew $8,500 from the victim's bank account. Then, police said she used the victim's credit card at several stores in Wheaton. Anyone with information on the suspect is asked to contact Crime Stoppers at 630-420-6006 or www.napervillecrimestoppers.com.